Summer is in the home stretch, but there’s still time to make great family memories before school starts. In a few months we’ll all be hunkered down indoors for another Michigan winter, so it’s time to enjoy warm weather outdoor activities with your kids before they are back on the school bus. No summer is complete without a trip to a baseball game where you can see the green grass, hear the crack of the bat and taste a ballpark hot dog. The Lansing Lugnuts will play at home in downtown’s Cooley Law School Stadium each of the last four weekends of the season through Labor Day. Post-game fireworks will blast off Aug. 11-12, 18-19 and 25-26. Plus, there are several special game days coming up: dress as a wizard for Harry Potter Night on Aug. 19, celebrate team mascot Big Lug’s birthday on Aug. 20, and build a LEGO race car at LEGO-palooza on Aug. 27. Aside from the action on the field and in the seats, there’s a playground and bounce house to keep kids happy through all nine innings. Get tickets here. Maybe you’ve already gone swimming this summer. But have you sped down a 190-foot tube slide? You can give it a try at the East Lansing Family Aquatic Center, which is open daily through Aug. 27 and also from Sept. 1-4 for Labor Day weekend. In addition to two super-fast tubes, there’s a splash pad and a pool with zero-depth entry for little kids. For grownups, there’s a large sunbathing deck to relax and work on that tan. Non-resident admission is just $10. 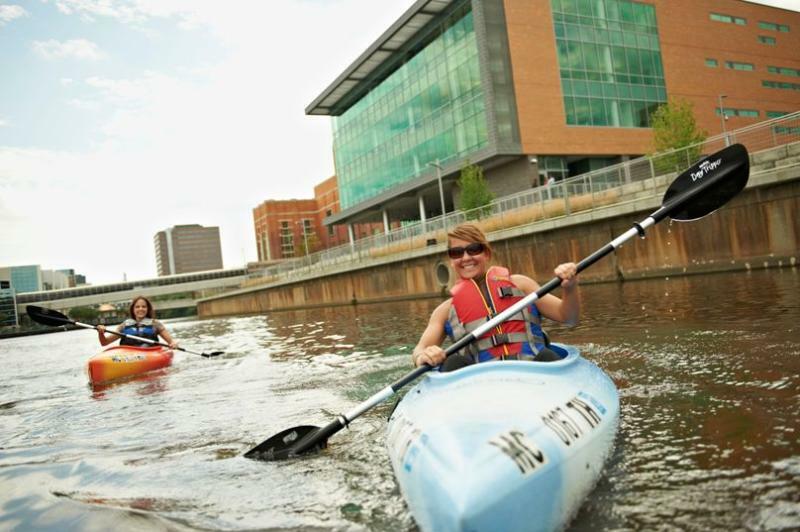 Paddle around with RiverTown Adventures, which puts you eye to eye with turtles and other river critters on several kayak tours around the Capital Region as well as hourly rentals for floating around downtown. Load up the bikes and helmets and explore the paved Lansing River Trail as a family for quick trips or rides of 20 miles or more. Visit the amazing Hawk Island Park, a 100-acre former gravel pit with everything you could want for a summer day in the sun including a swimming beach, splash pad, fishing, playground, trails and boat rentals. Bring your dog and go Howl at the Moon at Harris Nature Center where you can take a guided walk through the woods and peer through the night sky at a full moon for just $3 per person. 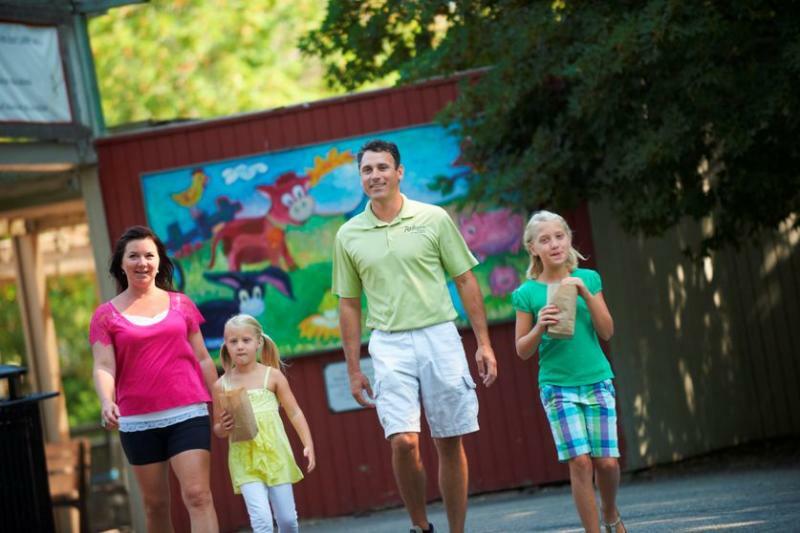 Potter Park Zoo has a great selection of animals in exhibits that are easily walkable for all ages. Come face to face with a kingly lion, cute red pandas, naughty monkeys and goofy penguins. Admission is $11 for adults outside Ingham County and $4 for kids age 12 and under. Nothing captures the experience of a Michigan summer quite like a good old-fashioned festival. The 163rd annual Ingham County Fair showcases everything from tractor pulls to full-contact jousting during the first week of August. Plus, there are many other events full of quirky fun during the last few weeks of summer: bathtub races at the Bath Days Festival, a carnival and fireworks at the DeWitt Ox Roast, oodles of kids’ activities at the St. Johns Mint Festival, and a costume contest (and, of course, llamas!) at the MSU Lamafest. Pick a festival to experience here.